Afghanistan’s capital, Kabul is one of the world’s fastest growing cities. New houses and markets are popping up all over the place, and streets are becoming more crowded by the day. But with a desperate lack of infrastructure, the city is struggling to keep up with its own growth. In a long awaited development, work has just started on a Metro Bus service, which will become Kabul’s only form of public transport. Shadi Khan Saif takes us on a trip through the streets of Kabul to find out more. Just a few decades ago, Kabul was a small city of a few thousand people. Now, it’s bustling metropolis of millions. But getting around the city isn’t easy. There is literally no public transport in Kabul. Most people get around the city in cars and taxis. It’s noisy. There are bottlenecks on every corner. And air pollution is suffocating. There are no buses, trams or trains. But you can still find a horse and cart to get you to where you want to go. Like generations of his family before him, Mohammad Mayel works as a coachman in Kabul. But he says his time may be coming to an end. “I have been in this profession for the past 10 years,” Mayel said. “But horse and carts are out of fashion now. Not many are left in the city. Only around 20 horse and carts are left." Electric trams once sped all over downtown Kabul. But that’s just a distant memory now, a reminder of the time before Soviet invasion, and the civil war of the 1990s, that left the city decimated. In recent years, life in the capital has become relatively more peaceful. Hundreds of thousands of refugees have been repatriated, and the city is beginning to thrive once more. 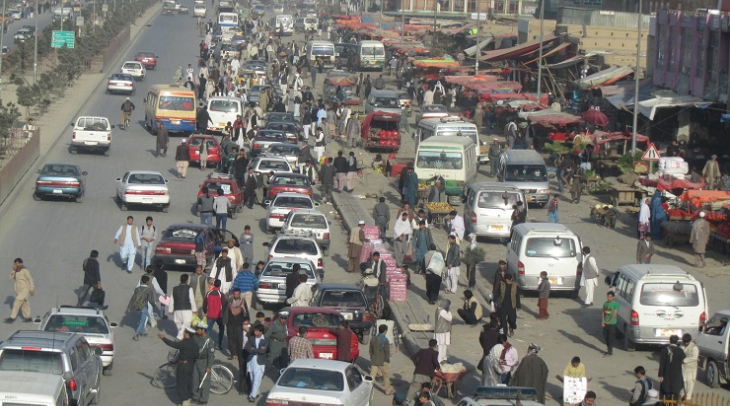 According to official estimates, Kabul now has a population of 4.6 million. But unofficial estimates put it at around 6 million. Quick growth has come at a cost, though. There’s immense pressure on public services, which are in an appalling state after years of conflict. Transportation is a major problem. But last month, residents welcomed a long awaited announcement from Kabul Mayor, Abdullah Habibzai. Work has started on a pioneering metro bus in Kabul. According to the Mayor, the first buses will be running by next year. Kabul Municipality will award 16 contracts to construct 285 kilometres of new roads throughout the city. But some Kabul residents, like 22-year-old university student Mehram Mohammadi are cautiously optimistic, aware this is just the beginning. “There has been some improvement, we have witnessed development of some new roads, but honestly the government and Kabul residents need to learn and do a lot to improve the city’s transport system,” Mohammadi said. As foreign troops exit the country, support for Afghanistan’s aid-addicted economy is dwindling. Streamlining public transport and other infrastructure is a crucial step as the country moves towards greater self reliance.